En route to Chicago’s O’Hare Airport on Thursday, I asked the taxi driver to find a radio station where I could hear Judge Brett Kavanaugh testify before the Senate Judiciary Committee. I had watched Christine Blasey Ford in the morning and, as a former federal judge, found her testimony compelling. Now, at very least, there would be no rush to judgment on the part of the Senate — no confirmation vote until all of the circumstances of her accusation and others had been investigated. A male voice came on the radio. At first, I assumed that the driver had turned to the wrong station. The speaker sounded like a talk radio host. He was angry, spewing heated rhetoric about the Democrats, even the Clintons, trafficking in bizarre conspiracy theories. Then I realized that this was not a right-wing radio provocateur. The pity is that it took one man with a conscience to force the majority to do its duty. That performance alone should be disqualifying for Kavanaugh. His behavior and affect, the pointed and partisan nature of his accusations, were of a piece with this president’s incivility and name calling. Consumed with rage at his Democrat interlocutors, he fairly spat out his answers. He treated them with disrespect, interrupting, repeating his talking points rather than answering question. 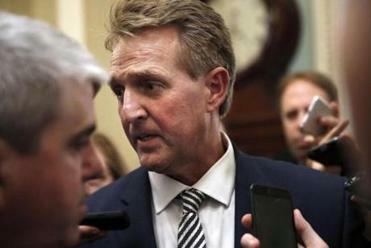 When several Democratic senators asked if he would call for an FBI investigation, to assure that the vetting process was as thorough as possible, he repeatedly evaded the question. He showed himself to be a zealot determined to get on the high court at all costs. With this performance, Kavanaugh became President Trump’s version of what a judge should be, which is to say, not unlike Trump’s idea of what his attorney general should be. They were both supposed to be Trump partisans, not neutrals. Trump reportedly was unhappy with Kavanaugh’s performance on Fox News several evenings before, thinking him “wooden” and insufficiently assertive. So Kavanaugh changed his tune. Now fully a Trump judge, he was playing to his base — President Trump. As for me, I had never heard a judge speak like that to a public audience, let alone during a confirmation hearing. A judge, after all, is not only supposed to be unbiased but also to offer an appearance of impartiality, avoiding remarks or situations that might lead reasonable people to believe he is partisan. How can Kavanaugh possibly meet that requirement given what we all saw last week? Consider these possibilities: Kavanaugh joins the high court, and on the docket is a challenge to gerrymandering brought by Democrats from one state; or a case involving accusations of voter suppression by Republicans in another. Or say a case arises that directly challenges presidential power, like the enforceability of a subpoena brought by special counsel Robert Mueller against Trump in the Russia investigation. How could the new justice even appear remotely impartial in those matters when his confirmation presentation so fully and completely reflected the Republican Party’s rage? He cannot. He is not. If Kavanaugh cared about the Supreme Court as an institution, he would withdraw now. Of course he will not. His body of work has been the functional equivalent of a 20-year application for a Supreme Court seat. He was a zealot in the Kenneth Starr investigation of President Bill Clinton; then, when it suited him to be more neutral, he wrote a law review article changing his tune. Serious issues have been raised regarding his truthfulness about his days in the Bush administration. He has also dissembled about the extent of his high-school and college drinking — even though other accounts by friends or by Kavanaugh himself suggest he was a heavy drinker. 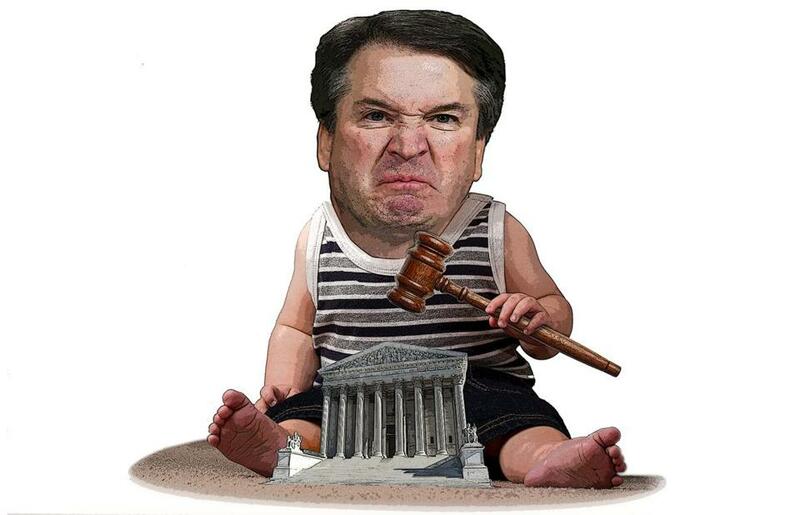 After all, he was the thinly-disguised Bart O’Kavanaugh in Mark Judge’s book, “Wasted,’’ passed out in a car. He joined a Yale fraternity famous for its wild drunken parties. He has touted the wild all-night parties at Yale Law School, most recently in a 2014 speech. Kavanaugh’s performance at that hearing alone should be disqualifying. I return to where I started. Our reality star president liked this performance. Judging is not a “performance,” but being a Trump judge is.